- The year also sees great achievements in Brazil. 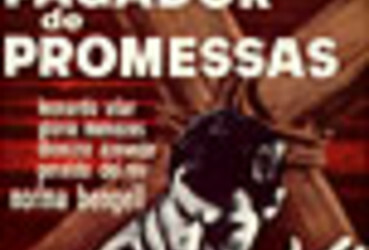 The film “O Pagador de Promessas” (“The Payer of Promises”), adapted by the Brazilian producer, director and actor Anselmo Duarte from the play by Dias Gomes, wins the Palme d’Or award at the Cannes International Film Festival, in France. It is the first time a Brazilian film wins the festival’s top prize. - Cinco vezes favela is released, a portmanteau of five short films by the principal directors of the Brazilian Cinema Novo, and financed by the CPC-UNE. - In soccer, Brazil confirms its place at the top by becoming World Cup champion for the second time, beating Czechoslovakia 3-1, in Santiago, Chile. - Closing this year of Brazilian glories, on November 21st, Bossa Nova conquers New York. Around 3,000 spectators fill Carnegie Hall to see the musicians, composers and singers João Gilberto, Carlos Lyra, Oscar Castro Neves, Luiz Bonfá, Sérgio Mendes, Bola Sete, Carmem Costa, José Paulo, Agostinho dos Santos, Sérgio Ricardo and Roberto Menescal, among others. At least in music and soccer, Brazil consolidates its international renown.